Yesterday we had a similar screen-sharing conference call, but this time with the business people on-line as well. We knew we had some knotty issues to discuss. I started the GoToMeeting session. All but one participant logged in. As the rest of us were waiting for the last participant, I turned on my Web camera, more playing around than anything else. I asked everyone else to turn on their cameras, too. They did. So now everyone could see and hear everyone else, in four different physical locations. 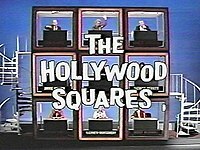 The video images on my screen looked a little bit like the famous arrangement on Hollywood Squares. A few minutes later the last person dialed in. We turned off the cameras. All hands focused on the draft contract on my screen and discussed the parties’ remaining issues. The discussion went pretty well. Afterwards, something occurred to me: It might have helped that we were initially able to see each other as we made small talk. Seeing facial expressions and body language helped reduce the uncertainty (and the accompanying low-grade anxiety) of dealing with comparative strangers. It seemed to me that we were no longer mainly just a collection of isolated, faceless voices in a telephone earpiece. Instead, we seemed to be at least a little more like an ad-hoc team that was trying to achieve a common goal, namely to get the deal done. As I write this, it reminds me of one of the things that famed surgeon Dr. Atul Gawande says in his best-seller, The Check­list Manifesto. 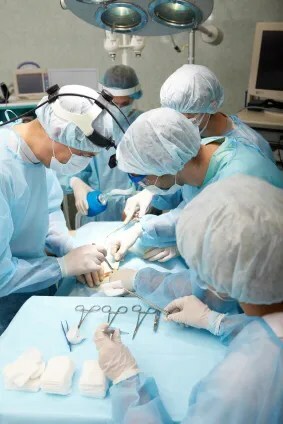 Gawande strongly recommends that when a surgical team starts an operation, each team member should introduce him- or herself and identify any concerns he or she has. He says that this practice helps bond the team together; he recounts an anecdote of how it saved the life of one of his patients when things started to go catastrophically wrong during a surgery. I’m going to try this kind of preliminary video small talk — and perhaps a round of Gawande-style self-introductions — in future screen-sharing negotiations.